Government regulators from 193 countries will discuss updating the rules that regulate telecommunications at a meeting of the International Telecommunications Union in Dubai. More than one billion people worldwide live with some form of disability, according to United Nations statistics. Making sure that their contributions to society are recognized is one of the aims of this year’s International Day of Persons with Disabilities, observed on 3 December. In a new released report entitled “State of the World Cities 2012/13” the United Nations Human Settlements Programme (UN-Habitat) ranked the world’s cities in terms of prosperity, which they evaluated along a newly introduced “Prosperity index”. Seven of the 16 United Nations peacekeeping operations deployed around the world are in Africa. At the same time, the continent is contributing to the training of peacekeepers at the Kofi Annan International Peacekeeping Training Centre based in Accra, Ghana. The Security Council has commended the international diplomatic efforts which led to a cease-fire between Hamas and Israel on Wednesday. The Security Council is demanding immediate withdrawal of the M23 rebel group from Goma, the capital of North Kivu in the eastern Democratic Republic of the Congo. South Sudan became the world’s newest nation when it gained independence in July 2011. But nearly two years since that landmark, the country faces overwhelming challenges in areas such as food security, education and health. The Security Council will meet on Wednesday afternoon in relation to the current crisis in Gaza. The unprecedented scale-up in response to HIV and AIDS is producing results around the world, according to the Joint United Nations Programme on HIV/AIDS (UNAIDS). 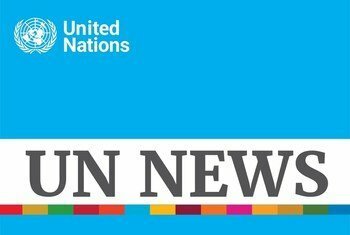 United Nations relief agencies are concerned about the worsening humanitarian crisis in the eastern part of the Democratic Republic of the Congo.